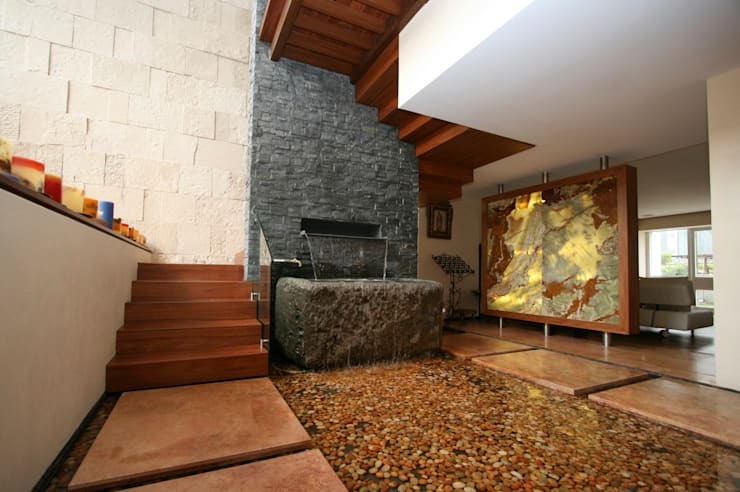 18 staircases with stone and water gardens, spectacular! 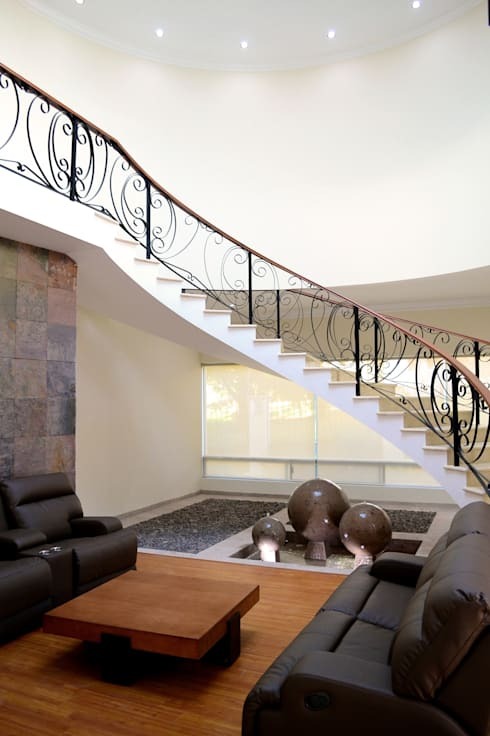 The good old staircase has always been an excuse to not only link up different floors, but also flaunt a big focal piece in a room. But since the introduction of the fabulous indoor garden underneath the staircase, both plants and steps now have a unique new way of drawing attention to themselves. That is why we thought we’d highlight 18 of the best expertly crafted under-stairs gardens that are unapologetically eye-catching and super stylish. These models we’ll be reviewing are all of different designs, yet share the same common theme of tranquillity and peaceful bliss. 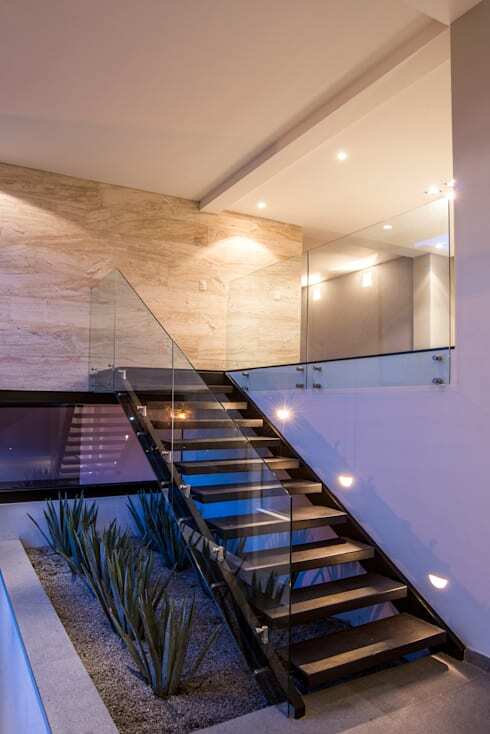 So, from natural stones to lush plants, and even some water bodies thrown in here and there, let’s take a look at some of our favourite under-stairs interior gardens that can serve to inspire your inner interior designer! 1. 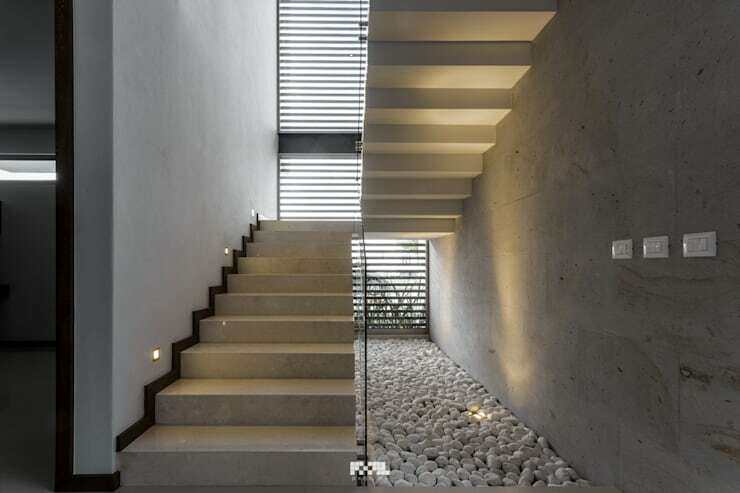 Keeping it simple with glass balustrades and smooth pebbles. 2. 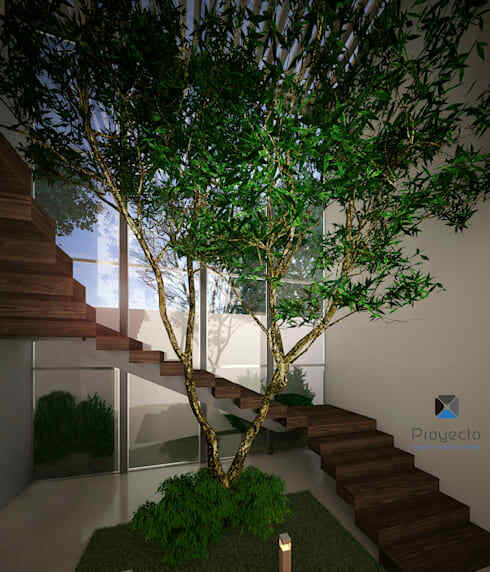 A tall tree that reaches upwards draws attention to this house’s height. 3. 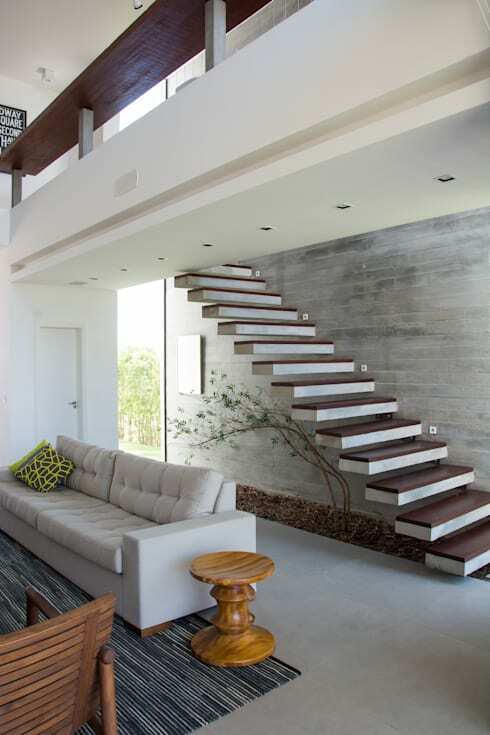 A stone garden that matches your interior colour scheme is a fabulous way of keeping that style harmonious. 4. 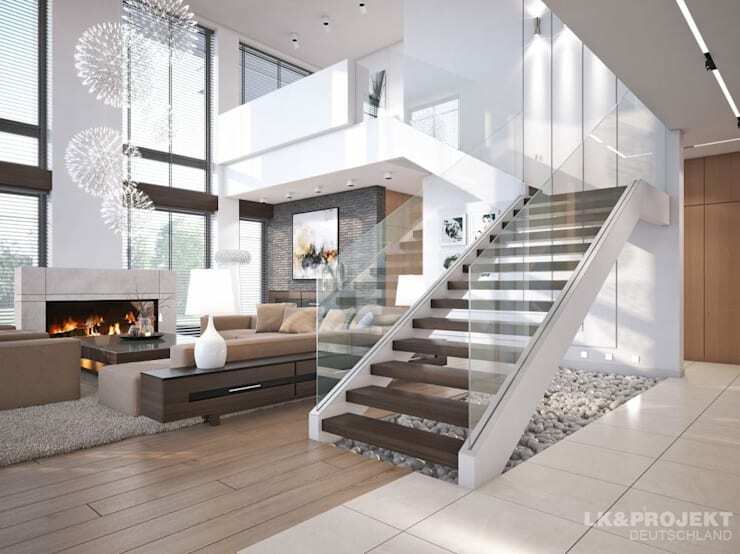 Stepping stones and a little pool are the perfect choices for a tranquil interior look. 5. Want your interior garden to demand attention? 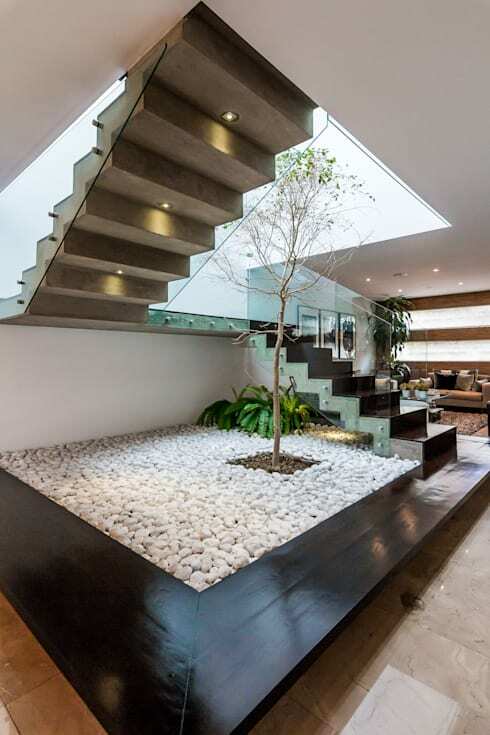 Then let those trees dominate both the garden- and staircase space. 6. Some sparkling lighting fixtures will add style and glamour! 7. 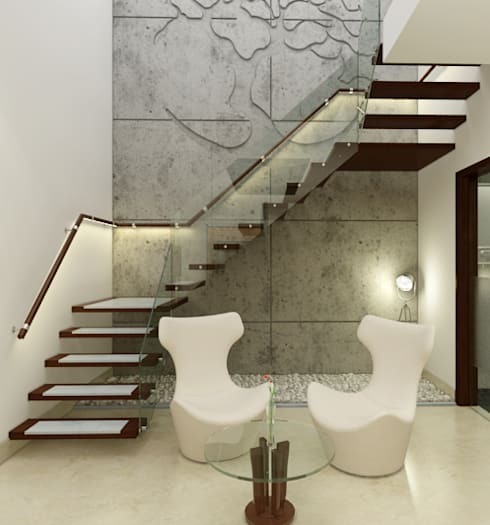 Wall artwork that mimics the stone garden’s colours is the perfect touch for this focal staircase. 8. This floating design is both dreamlike and Zen – who would ever want to leave this house? 9. 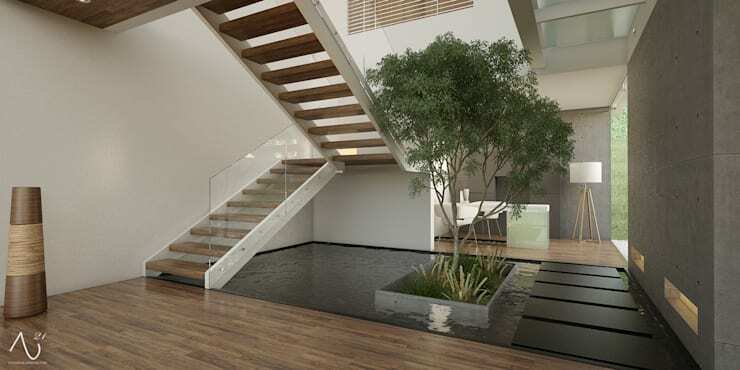 What would have been a waste of space has become a striking garden underneath these floating steps – we love it! 11. 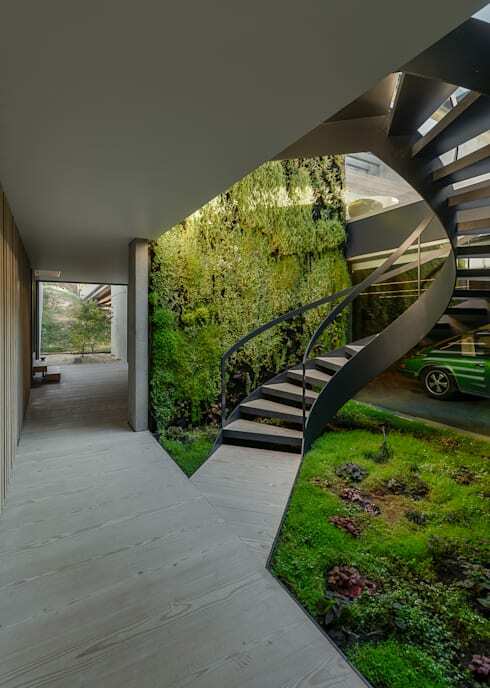 Notice how the garden’s greens break through the rest of the interior tones. Splendid interior designing. Be sure to take a look at our vast range of professionals here on homify, including interior designers. 12. A contemporary sculpture mixed with a lush garden spot? Perfect contrast! 13. 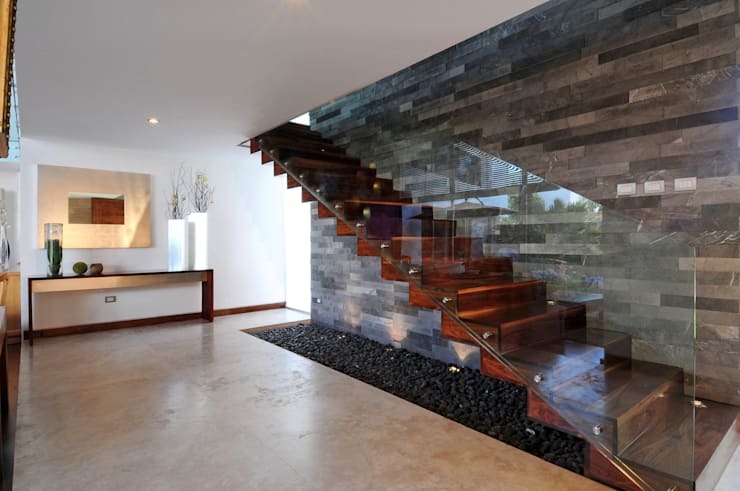 We love the dark- and-delightful look that these black stones bring to this modern staircase. 14. 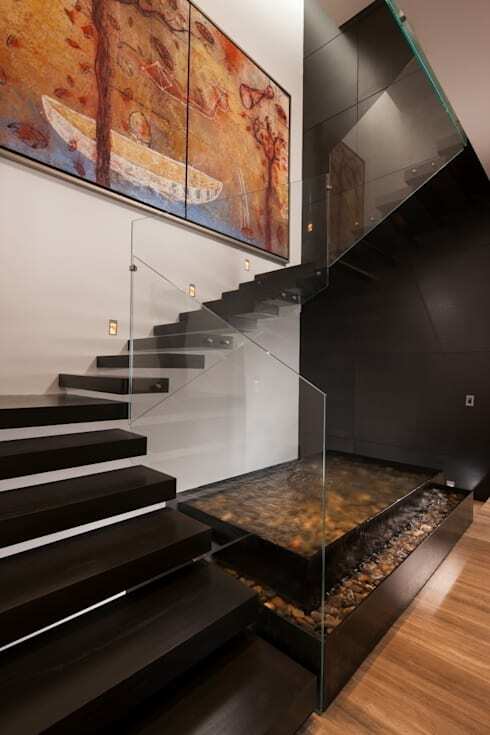 The soothing sound of running water is the ideal companion for this timber-clad staircase. 15. 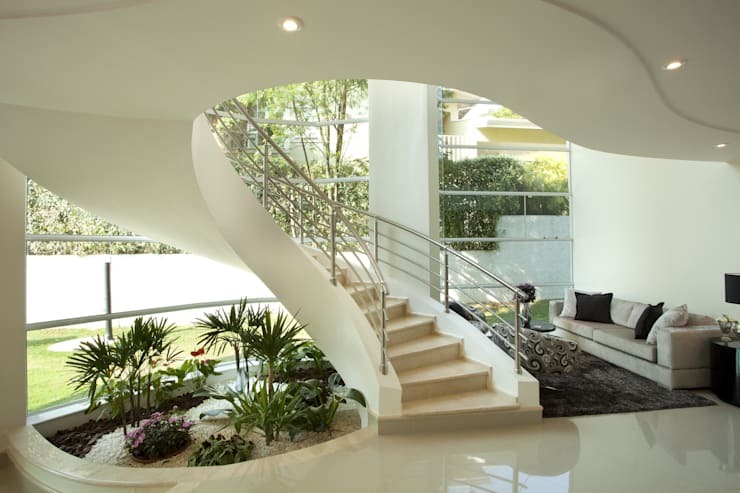 Notice how exquisitely the spiky plants offset with the smooth, curvy flow of the spiral staircase. 16. The green wall is the perfect choice for this industrial-style space with its moody neutral tones. 17. 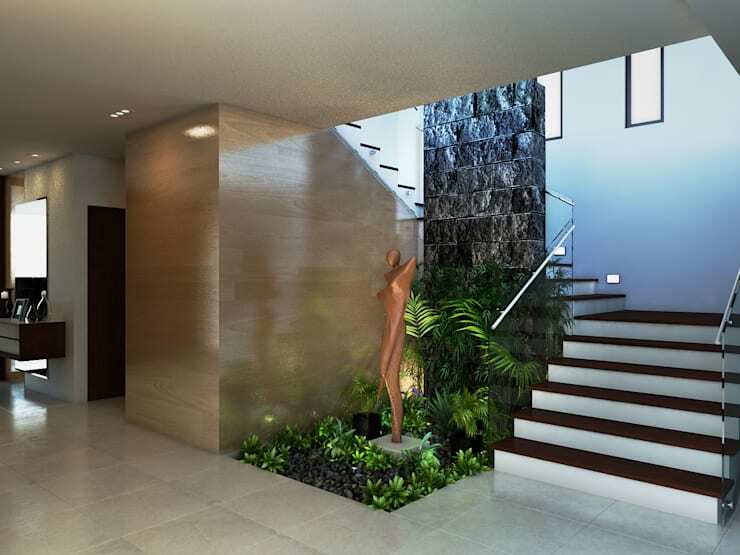 The stone garden adds both texture and diversity to this sleek hallway of creams. 18. 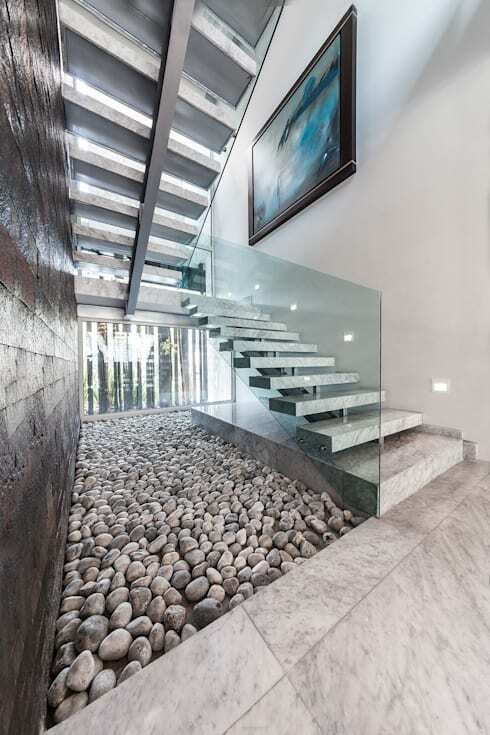 The small pebble garden doesn’t subtract from the staircase and focal wall in this design – it merely adds to the sophistication of the space. 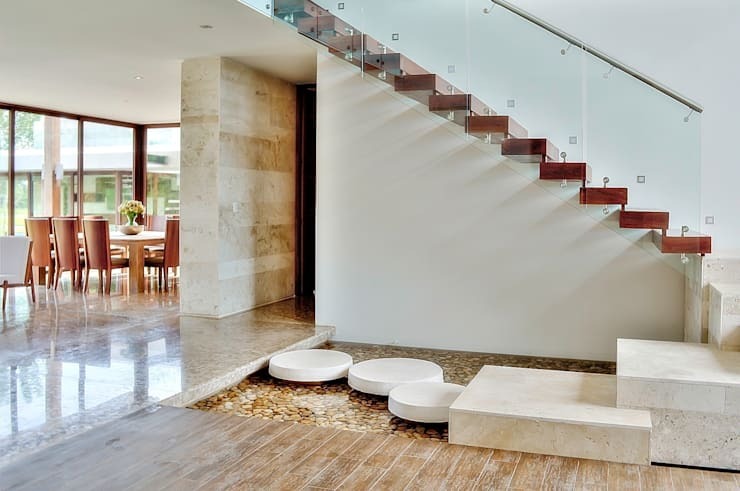 If an indoor garden doesn’t do it for you, then take a look at other tips when it comes to: Decorating your stairway to heaven. 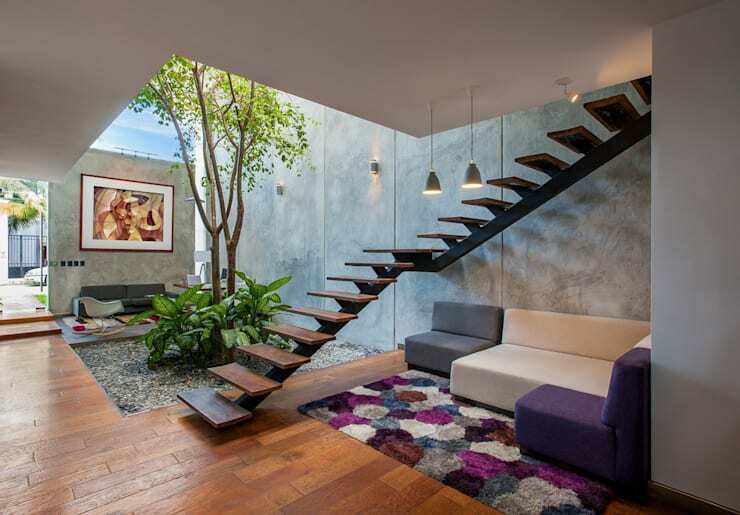 Which of these gardens and staircases would be perfect for your home?